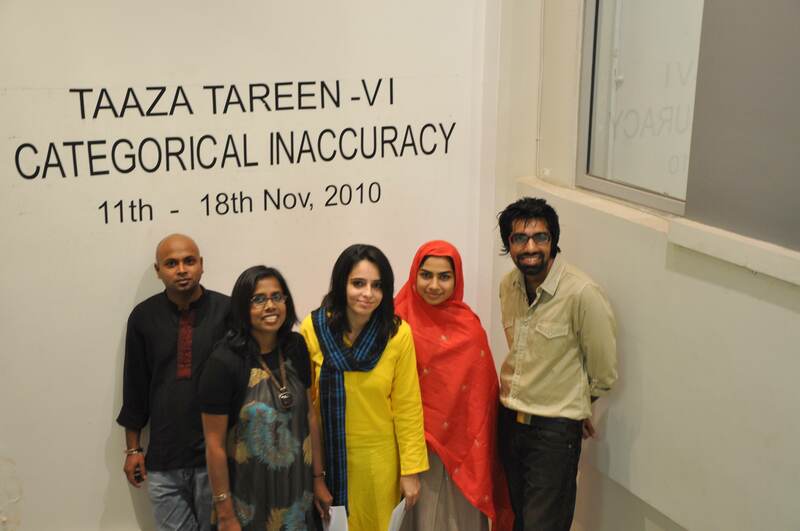 The 6th annual Taaza Tareen Residency included South Asian artists Lakisha Niwanthi, Mohsin Shafi, Saba Qureshi, Shimul Saha and Zikra Baloch. The resident artists collaborated with the Children’s Museum for Peace & Human Rights (CMPHR). They conducted a workshop with 42 art teachers from 33 schools across Karachi. 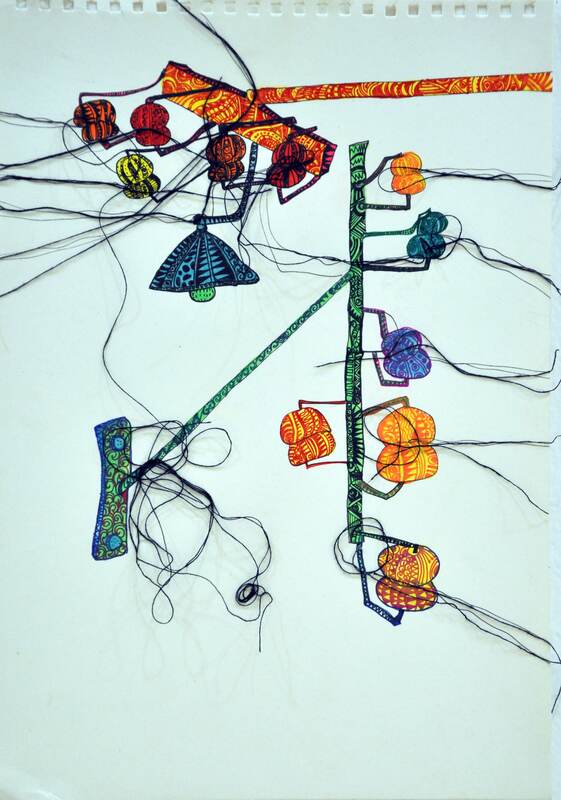 They were introduced to varied techniques in art and art education. 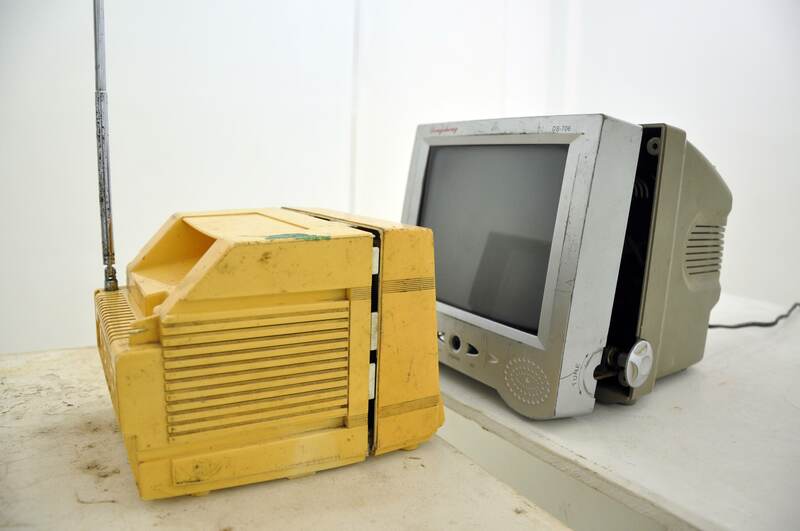 The workshop focused on environmental issues and produced art from waste material. 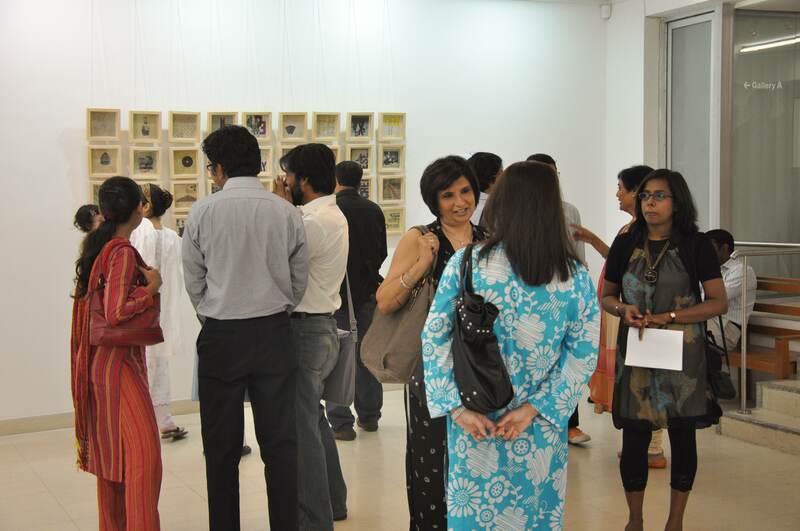 As part of the ‘Categorical Inaccuracy’, three ARTshares were held at different art institutions across Karachi. 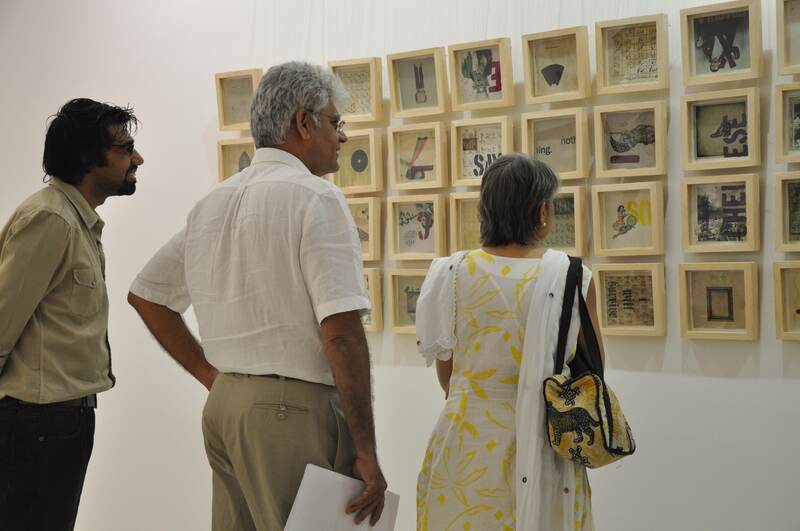 The students of Karachi School of Art, Karachi University and Indus Valley School of Art and Architecture had the opportunity to learn about artist practices from within Pakistan and across South Asia. 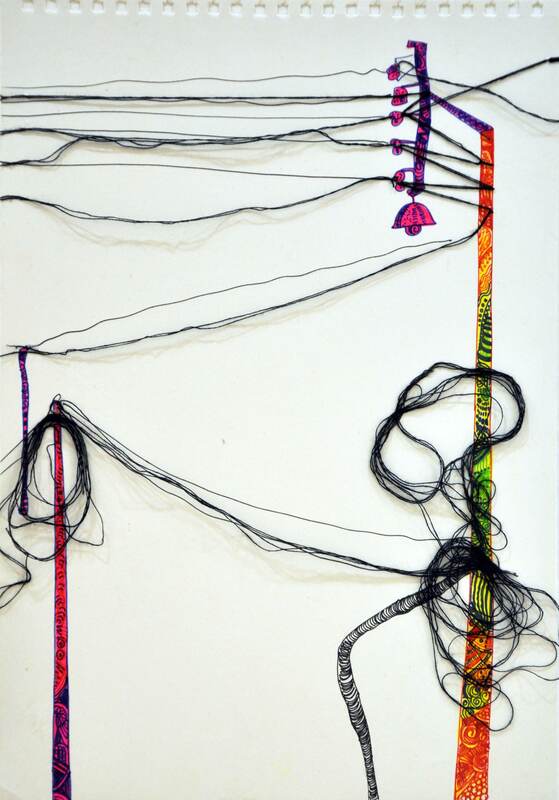 Zikra Baloch’s work involved field studies through observations and an amalgamation of the ‘seen’ and the ‘sight’. 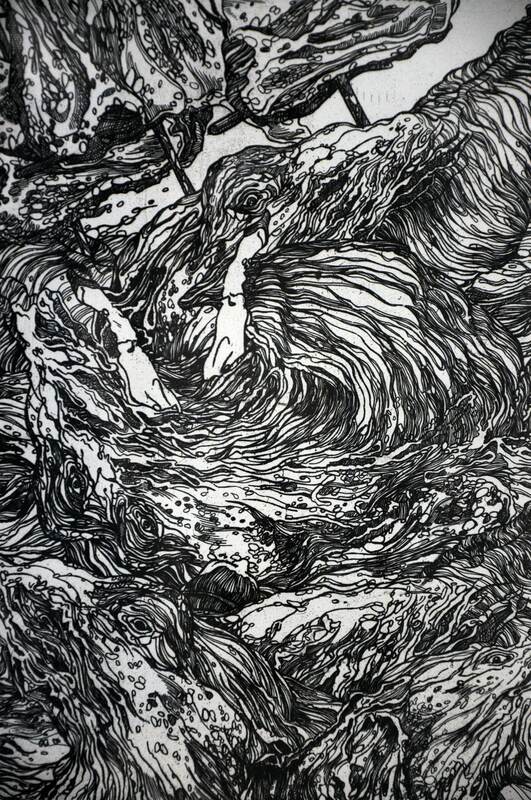 (output) are intertwined because the process adds layers of meanings and readings to the final form. 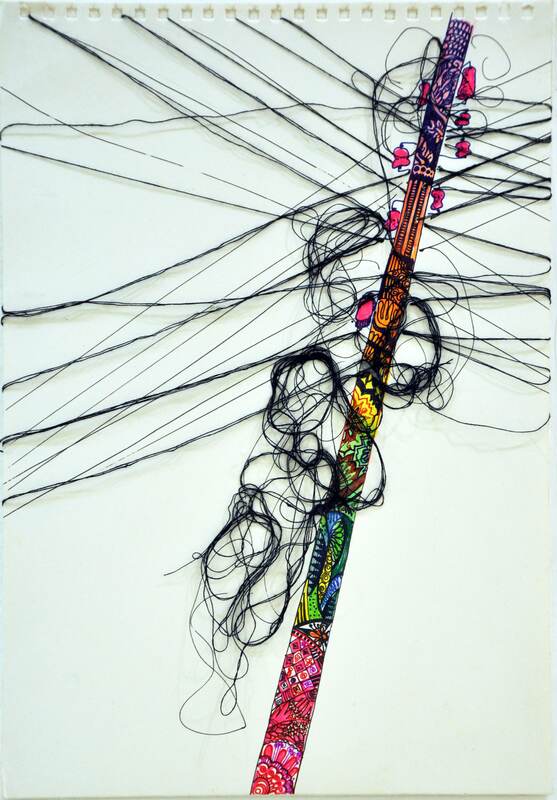 The existence of spontaneity and ambiguity in my process is something that I quite enjoy.” Baloch’s approach of integrating used objects in art work reflects on the journey of an object through history and usage.